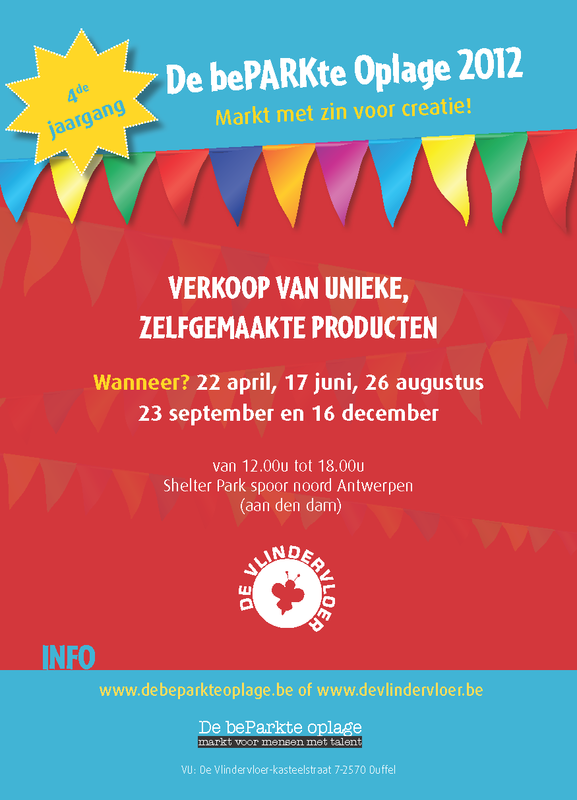 Some good news: I will be selling my upcycled purses and pouches on a crafts market in Antwerp on the 23rd of September. It is called De bePARKte Oplage, because it takes place in a park, in the north of Antwerp, and all items that are sold there are made in small quantities. So everything that is sold there, is unique and handmade. The market is in a shelter, so no worries about rain. I'm looking forward to it, and would feel honored if you would pass by to say hello!